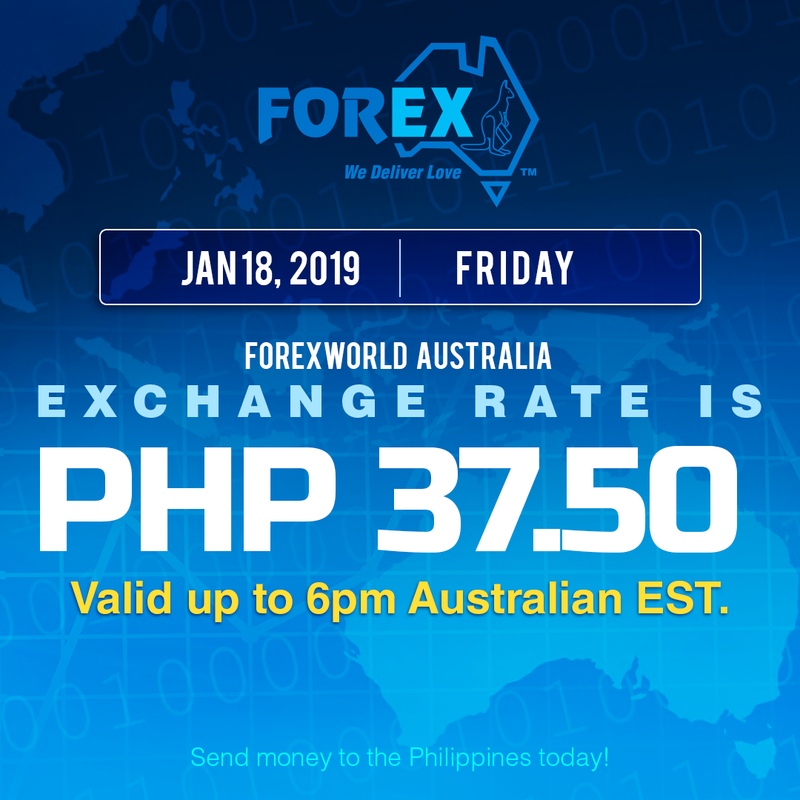 Forexworld Australia Exchange Rate January 18, 2019 (Friday) is PHP 37.50 valid up to 6pm Australian EST. $1 is to PHP 37.50 Send money to the Philippines today, via online money transfer to the Philippines from Australia. New to Forexworld Australia? Register an Account for the most reliable, quick, and secure money transfers to the Philippines from Australia. You may also use our live chat at https://www.forexworld.com.au/.